As an award-winning industry leader amongst the more than 10,000 manufacturers, assemblers and fabricators for Windows and Doors across North America. Vanguard Windows excels when it comes to its dedication to developing high performance window systems. 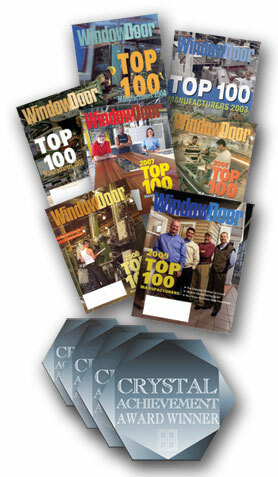 Our accolades include being listed as a “Top 100 Manufacturer” by Window and Door Magazine, every year since 2000. Additionally, we’ve been the recipient of many of the industries coveted Crystal Achievement Awards for product innovation, as well as being named as one of the “Ten Manufacturers to Watch” by Door & Window Maker Magazine.